Challenge 42 - Easy Elegance! 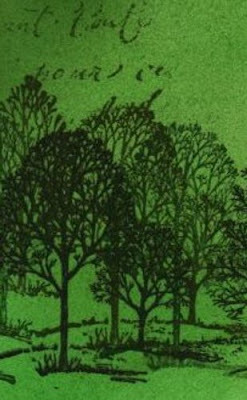 Thanks for joining us in the 'Green' Challenge last week - there were some wonderful creations shared with us. We hope that you had a good Christmas and this week we would all like to wish you a very Happy and Healthy New Year. 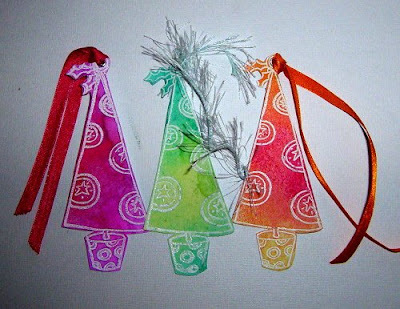 Hope you enjoy seeing the New Year in whatever your plans are! 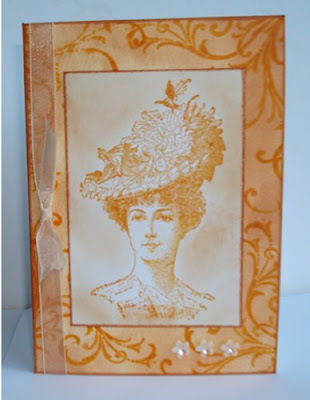 This week's challenge for anyone who has the time is called 'EASY ELEGANCE'. We are looking forward to seeing your interpretation of this one! Thank you so much for finding the time in this busy week leading up to Christmas to join in with the challenge - we had some wonderful work shared with us! We would like to take this chance and wish you all a Very Merry Xmas - Have a fabulous time! 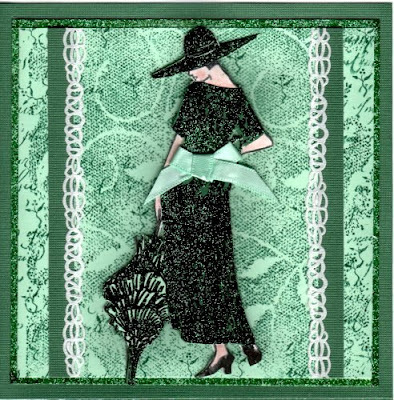 This week's challenge is a colour challenge - 'GREEN'. 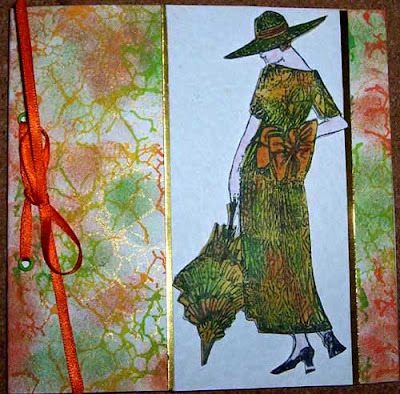 If you are lucky enough to get some new bits and bobs we would love to see them incorporated into your work this week! A perfect way to play with those Christmas presents! We look forward to seeing what you come up with for this challenge! 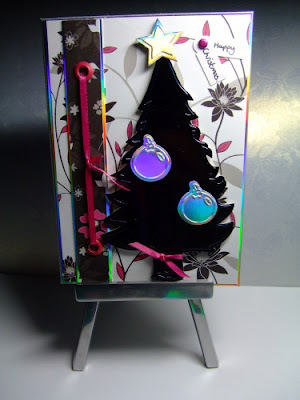 Challenge 40 - Contemporary Christmas! Thank you for taking the time to join us last week - we know things are busy at present but will continue to post challenges just in case anyone is in the need of a bit of me time and manage escape into the craft room to play for a short while! The Design Team have come up with a few examples for you - to save time all details for these can be found on their respective blogs! We look forward to seeing your fab creations - have fun!! Challenge 39 - Daisy Days! Thanks to all who joined in with Becky's wonderful first sketch! Your work was fabulous! We have a winner for that mystery Christmas present too - very kindly drawn out of the hat by the gorgeous little Dylan! 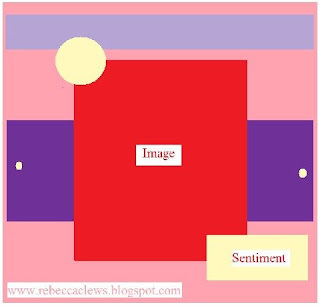 If you visit Becky's blog you will see his cute little face on there! The winner is 'Heidi'........if you contact us with your email Becky will get that pressie in the post to you! 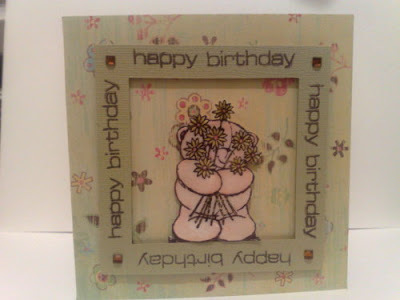 Now onto this week's challenge - 'Daisy Days'! 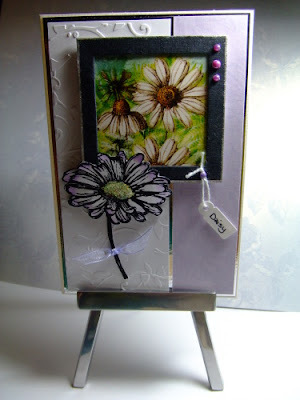 We would like to see cards with a daisy on it, or lots of daisies! 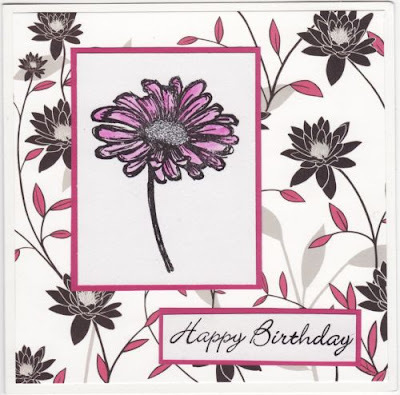 Paper daisies, stamped daisies, punched daisies- whatever takes your fancy! The Design Team have been busy making samples for you. Sorry - I haven't got all the descriptions as yet but will add them when I have them - in the meantime do visit the DT Blogs, I am sure you will get more info from there! We look forward to checking out your art work! Huge apologies for the delay with the challenge - some technical problems to sort through! 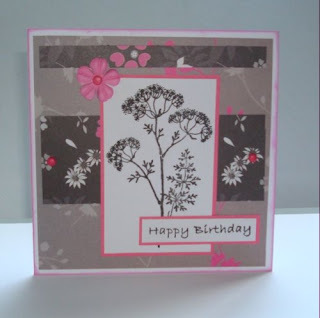 Many thanks to all who joined in with our 'Rain' challenge - some wonderful cards to check out again! Also this week Becky is giving away a 'Mystery Christmas Present' to one lucky person picked at random. 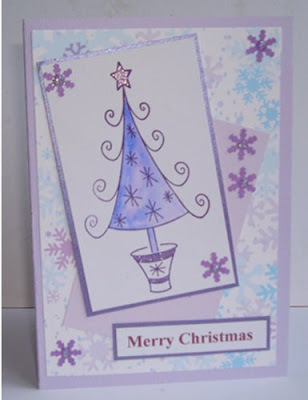 If you want to be in with a chance of this one please have your card up and linked by Midnight on Monday 8th December. Now for some examples from the Design Team. 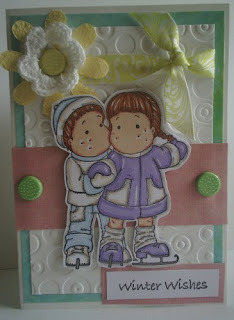 I coloured Tilda and Edwin with Pro Markers and placed them onto Cuttlebug embossed card. 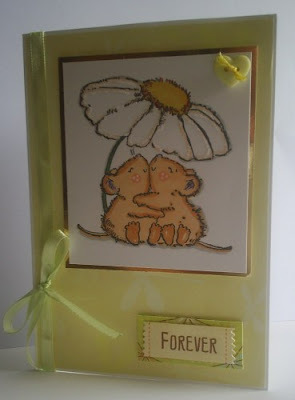 I then added ribbon, brads, flowers and a sentiment. 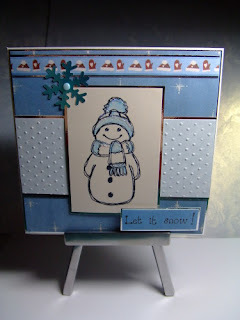 I stamped the scribble snowman with black Stazon then water coloured him in. Stickles were added to his scarf and hat to make him look snowy. I then added glossy accents to his eyes and buttons. 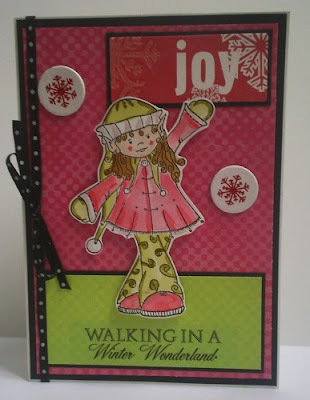 I used a Cuttlebug folder for the strip behind the snowman. 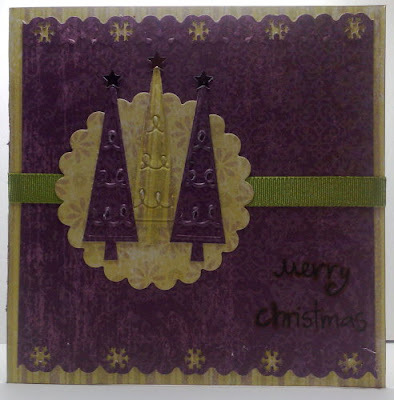 The papers were a freebie from a craft magazine. It was all finished off with a blue snowflake held in place with a blue brad. 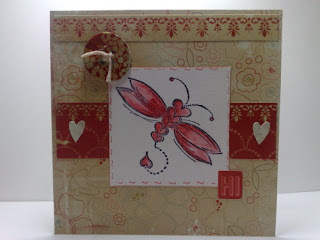 I stamped an image using an Elusive Image stamp and used Dovecraft papers for the background. Finishing off with a message, Prima and brads. 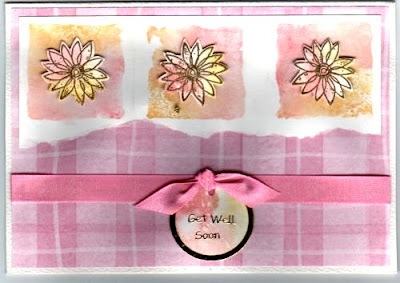 I covered a 5" square card blank with co-ordinating papers, stamped the image and coloured with Prisma pencils, blending with Sansador then doodled around the edge. I thread some string through a chipboard button, attached this to the base then finally added the Hi sentiment and two hearts. I enjoyed this sketch and kept things pretty much as they should be apart from turning the center piece to a different angle! 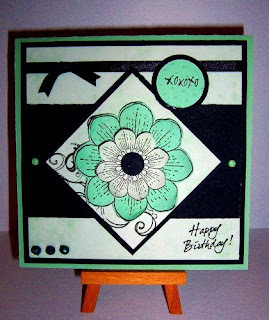 I have used a flourish stamp from Autumn Leaves, Flower stamps from Elusive Images an unknown greeting stamp and the XOXO is from Printworks. 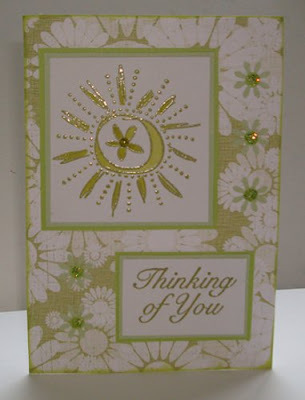 The flower has been stamped onto card and popped through the Swiss Dots Cuttlebug embossing folder before being mounted with 3D foam pads. Embellished with black satin ribbon and some black iridescent beads.